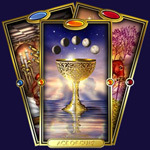 Psychic Malina is a master in the field of Palmistry, Tarot and E.S.P. She offers many types of different readings, that are used as tools that are applied and designed to give insight and clarity, with any difficult decision situation or obstacles surrounding you. Malina, has many well satisfied clients that are local, national, and international. That say " Her readings are like no other that you have experienced in the past"! Within a few brief moments she will open a window into your soul and share astounding information with you. Malina's readings are very in-depth, specific and extremely detailed. Covering every aspect of life, from beginning to end. And every thing in between, that you will encounter and have encountered. Her sessions will give you the solutions to your problems that you are seeking. Malina's premonitions will allow you to know what the future holds for you. By revealing you whats meant and whats not meant in your life. She advises on all matters of life. Relationships, Career, Marriage, Finances, Health and Family. If you have questions ( whom, what, when, where, why and how ) and need answers. Malina will give you the answers your seeking. Also revealing you dates, times and even names to certain questions. Malina's accuracy has been known to be 97% - 100% by her clientele. she has proven her authenticity and ability to millions of people all across the nation. An E.S.P Reading - Is really an intense reading. That embraces spiritual virtues of visions of your life. The reading focus on eliminating life's bad vibes and benefits you by repelling your most deepest problems. The reading is based on trouble love areas of your personal life. With this reading Malina, could provide you with answers how to reunite with your lover, restore happiness and communication in your current relationship. She also advises you in your love life and lets you ask questions in this reading. 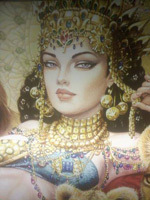 Malina, has been known to rebuild and re-balances relationships. Allowing your partner to love you, for whom you are, what you are,to grow and prosper together. ( How old you will live to be.) And your family. ( How many children will you have? ) 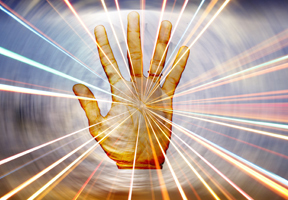 By utilizing both your palms, Malina reveals your past, present and future to you. Psychic Malina, reads from tarot decks that are collected from around the world. This reading is focused on answering all your questions. Such as: Whom, What, When, Where, Why, and How. Of your future, with extraordinary accurate and unique answers to all your questions. The tarot card readings is known to be very beneficial to a person giving them peace of mind, clarification and bestowing tranquility in their lives. 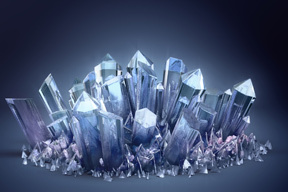 A crystal reading is the most instanced reading. It focuses on your inner energy and touches the bases of your inner well being. It allows Malina, to tap directly into your energy. To see and feel your most deepest emotions, concerns, fears and worries. She then has the ability to shed light on your most largest failures, disappointments and heartaches that you have endured in your lifetime. Malina, then has the knowledge to see the premonitions of your future. Preventing your mistakes your not meant to go through. And then directing in the direction of the path your meant to travel on in your life. This reading benefits in so many ways. It allows you to know your future as its supposed to be. Understand your present as its meant to be. And to shed light on your past influences. The past life reading allows yo to know your past life, who you where, what you where, whom was your partner,and what was your life. Are you today, whom your supposed to be? Are you at a cross road in your life? Do you feel that you need to change your life direction? 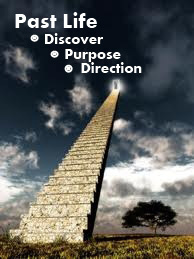 Do you want to have a deeper understanding of the unforeseen events in your life and to know what direction to take? This reading allows you to know the unknown...and answers all the below questions. Are you feeling stuck in a rut with your life, in your career or relationships? Does it seem that you have been trapped and de-energized by life circumstances? Would you like to feel like your career path is meaningful, rewarding and "in-sync" with what your heart and soul want to experience? Are you considering relocating? Would you like to know which locations hold harmonious, successful or exciting energies for you? Would you like to know what types of individuals can light up your relationship life and make your intimate dreams come true...or what types can take you down a difficult path of heartbreak and disappointment? Do you want to know invaluable relationship compatibility information? Have you been struggling with challenging changes in your life? If you, answered "Yes", to any of these questions. The past life reading will provide you with all the answers your seeking. 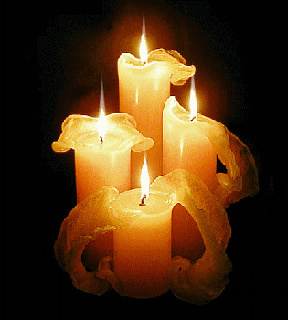 The spiritual reading allows Malina, to channel into divine realms of spirit guides. Spirits have been known to work in very Mistress way. Guiding you in certain directions. Allowing you to fulfill your destiny. But one wrong decision could change your future. This reading allows you to know what decisions to make and pursue. What's meant. What's not meant. The spirits reveal Malina, your purpose of life. And she lets you know The meaning of your life. If your going in the right direction? If your with the right lover? In the correct work field? If so, what there is to aspect. If not, How to travel on to the correct path to fulfill that journey of your life. 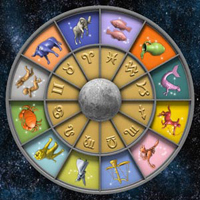 Psychic Malina, also specializes in astrology and numerology with basic information supplied. Such as time, place of birth and D.O.B. An astro chart can be created for you. Revealing your zodiac signs, your planets, your elements. Letting you know whom by name your destined to be with? What does your destiny hold for you? By seeking through the stars, know what lies ahead. Dreams are doorways to the subconscious and pathways to our lives. By analyzing your dreams you could unlock the doors and open the keys to your future. By interpreting your dreams are seeing visions of your future. Wondering what your dreams mean? Ask Malina, for more information and details.